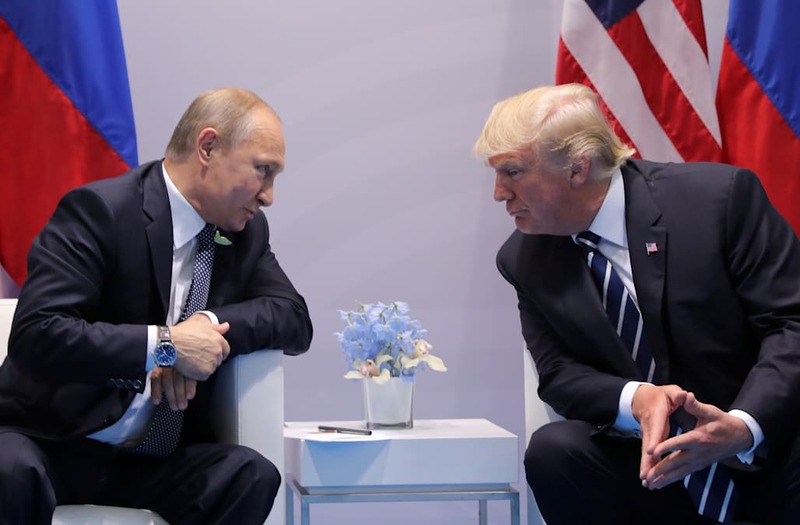 MOSCOW (Reuters) - The Kremlin said on Thursday that U.S. President Donald Trump and Russian President Vladimir Putin did not have "a secret meeting" at the G-20 summit earlier this month, but confirmed they did chat informally over dinner. The Kremlin was responding to questions about a previously undisclosed conversation between Trump and Putin that caused alarm among some U.S. politicians unhappy about Trump's handling of U.S.-Russia relations. Trump's interactions with the Russian leader at the summit in Germany were scrutinised closely because of allegations that Moscow tried to meddle in the 2016 U.S. presidential election to help Trump win the White House, something Russia denies. When asked about the nature of the G-20 dinner chat, Kremlin spokesman Dmitry Peskov told a conference call with reporters: "There was no secret second meeting." Peskov said there were no current plans for a new meeting between Trump and Putin, but there was a chance that such a meeting would occur "at some point." Russian news agencies earlier on Thursday had cited Peskov as saying it was "absolutely absurd" to describe the informal dinner conversation between Putin and Trump as secret or undisclosed. "The use of a term like 'undercover' or 'secret meeting' raises eyebrows", Peskov told state TV, according to the agencies. "They had a bilateral meeting that had been officially agreed through diplomatic canals, then they repeatedly exchanged views and remarks on the sidelines. There were no undercover or secret meetings and to assert that there were is absolutely absurd," Peskov was quoted as saying. Trump, in a New York Times interview, said his conversation with Putin had lasted about 15 minutes and was mostly "pleasantries."